You may remember from previous posts that I'm a Mrs. Dash Ambassador, which means I've been able to try out a bunch of Mrs. Dash seasonings, all well reducing my own sodium intake. I love that the perk of being this type of brand ambassador means that I'm doing a little bit to improve my own health! I've had lots of fun looking at all the recipes on the Mrs. Dash Facebook page, but this time I wanted to put a spin on one of my own favorite dishes. It's been super, extra hot in Minnesota this week, and the last thing I've wanted to do is turn on my oven. Thankfully, I have a whole list of no-cook recipes in my arsenal, and the recent high temps have been forcing me to use them.One of my favorite foods to make is homemade salsa. I'm not talking about the saucy, tomato-based kind that you dunk chips in. I'm talking about the fresh, chunky, version that you can do almost anything with! My usual recipe calls for a whole pile of salt, but I realized that there were a few Mrs. 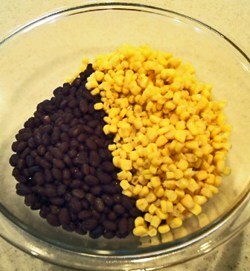 Dash seasonings that would work really well to add great flavor to the salsa without increasing the sodium. After considering my selection, I decided that there were three that could possibly work well in salsa. I pulled out the Southwest Chipotle, Fiesta Lime and Extra Spicy varieties and decided to give them each a taste test to decide which would be best in my salsa.The Extra Spicy variety had a lot of heat, but I thought the flavor of the dried pepper flakes was too much. The Southwest Chipotle was delicious, but a bit too smoky for the overall flavor I was going for. The Fiesta Lime was perfect! The ingredients include cayenne and cumin, which would add a little bit of spice and a lot of the southwest flavor I wanted to achieve!The basics of this extra chunky, fresh salsa are incredibly simple. Toss them gently together, and add the cilantro and olive oil, plus any other ingredients you want. Sometimes I'll add fresh tomatoes, onions, garlic and lime juice. Other times I'll throw in cucumbers and feta cheese. I'll always add black pepper and a few heavy dashes of salt. But not this time! This time, instead of adding any of those extra add-ins, I mixed in about 1/2 a Tablespoon of Mrs. Dash Fiesta Lime seasoning, and I skipped the salt and pepper entirely. After letting the bowl full of goodness sit covered in the refrigerator for about 30 minutes, I opened it up and gave it a try. Yum! It was so fresh and light, I wanted to have another spoonful! 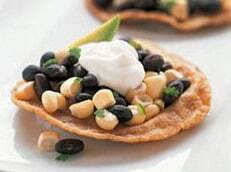 Fill a tortilla with meat, black bean & corn salsa, a sprinkle of cheese and a dollop of sour cream. Put the salsa on top of a grilled chicken breast. top individual tostadas with the salad, some extra cilantro and a little bit of sour cream. The possibilities are endless! This is one of the best-tasting recipes I've made with my Mrs. Dash seasonings, and I'll definitely be making it again! If you're looking for other great Mrs. Dash recipes, check out the Mrs. Dash Facebook page. I'm guessing you'll find something delicious! I wrote this review while participating in a campaign by Mom Central Consulting on behalf of Mrs. Dash and received a gift certificate to thank me for taking the time to participate. I love Mrs. Dash… a great way to spruce up recipes, not mention that it’s great for those of us with people in our families with high-blood pressure. I’m always looking for ways to cut sodium.